Website maintenance is often overlooked when contracting with a team to build your website. It is crucial to maintain your website to ensure that your website is protected from 'hackers'. We work closely with our clients to determine what market they are serving and how we can leverage new technology to help them stand out of the crowd. We've been around the block a few times. We can integrate your website with a wide variety of services. Let our expertise upgrade your workflow or improve your customer's experience. We were the first on the scene regarding Chase Paymentech and WordPress integrations. You can trust that we know how to work with Chase and can guide you through setup and certification. You can only make a first impression once. What impression does your branding make on your potential customers? We help our clients deliver the message they intend to their customers. Print marketing has never been MORE relevant than what it is today. With many companies focusing solely on placing ads in Google or tweeting their latest offers, it has opened up a door for print marketing to stand apart from the digital and take it’s place in the physical world! 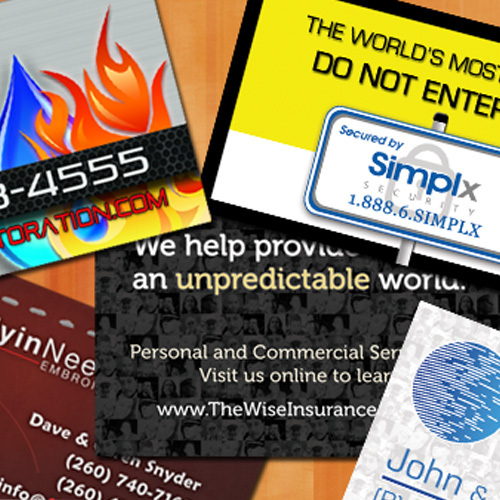 Your branding doesn't just stop at your website or your printed materials. When you email a customer, your email address says something about your business. Are you jsmithers1890@yahoo.com or are you john.smith@company.com? We can help you setup a secure email environment for your employees. We’re more than just a hired pair of hands. Let us collaborate with your team to take your idea from concept to reality.